Reven ge is an odd concept in limbo, held to contempt for some but something that speaks to a base nature held amongst all of mankind; to revisit slights and failures and seemingly change your personal history. For Remo Cardarelli his fight history is uniquely cyclical in nature, facing exclusively top level talent and finding ways to win, even if it takes a second run at them. This pattern of failure-turned-success began at Cage Titans, facing Billy Giovanella in the main event. The potential five round battle would begin as a highly competitive scrap, but as rounds wore on and the walls of the cage hemmed in Cardarelli’s famous footwork, tides would turn to Giovanella’s favor. The fourth round would see Cardarelli leave on a stretcher; ground and pound and fatigue having accumulated to a shut down of the body. It’s the kind of devastating loss a fighter would work towards forgetting and never wish to try their luck again, yet that’s exactly what Cardarelli did less than a year later. This time in the Bellator cage, Cardarelli would show a different side to himself than the aggressive striker we’d watched over the years, fighting the smart fight of ripping counters, had sprawls and opportunistic grappling exchanges in the biggest fight of his career. He’d dart in with punches and dart out as Giovanella stumbled at empty space; accuracy off the charts and taking a split decision win on virtue of intelligent offense and insurmountable defense. It was his pair of bouts against crippling puncher Andy Aiello in Cage Titans that would show the true character of Cardarelli though, revisiting the scene of a devastating KO loss in their first meeting. The buzz around the internet was that Cardarelli simply couldn’t avoid that power for three rounds, and anything short of a perfect hit-and-run match would result in another defeat, yet the Rivera fighter had something else in mind entirely. Going toe-to-toe and punch-for-punch, Cardarelli would stun the crowd by dishing it out far more than he took it in their rematch, closing Aiello’s eye with the volume and power behind his gloves. Now the time comes to rewrite personal history yet again, but the target of his third vindication will seek to make his victory stick, as Darren Mima enters Cage Titans for the first time. For Mima, the first fight between the two, inside the CES cage, was a no-duster and rightfully placed behind him. 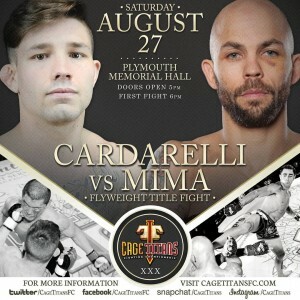 A simple double leg slam in a twenty-seven second fight was all it took to seal the deal, Cardarelli out cold on the mat and Mima walking off with bigger fights in his future. Fighters like Mima highlight the issues with management in MMA on the local level: ready for the ground floor of the world stage, and too dangerous for similar prospects to test themselves against. “Everyone wants to fight Darren, but when it comes time to sign the contract or step in the cage, there is always an excuse.” Sean Rockwell, Mima’s manager tells us. It’s a story told across every weight class as fighters become too large for the local scene and need that final push to leave, like a rocket trying to break orbit. For Mima, he’s suffered a set of revolving door opponents that make preparation tougher than the fight in some cases; keeping mentally ready when your opposition wears a different face every week. While rerunning a former victory isn’t in the play book for reaching the next level, the prospects of a steady opponent help motivate the elite Flyweight, as does the bauble up for grabs on August 27th; the Cage Titans Flyweight Championship. 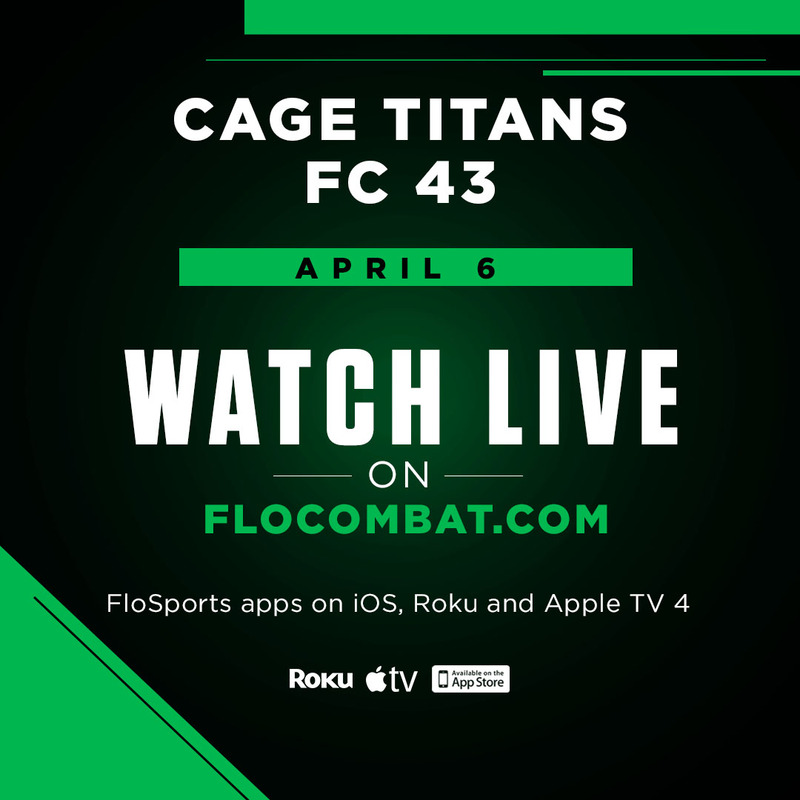 With revenge, propulsion to the big leagues, and a coveted title all within grasp, we can expect one of the best title tilts in Cage Titans history.